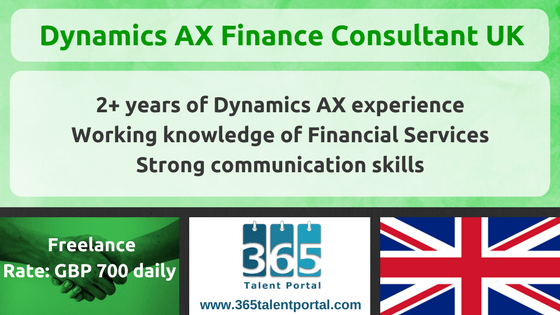 We are looking for a Microsoft Dynamics AX Finance Consultant to join a leading mid-tier firm of accountants and business advisers with a fee income of over £300 million. The successful candidate will join the rapidly-growing Dynamics practice within Technology Consulting firm who is a Microsoft partner and the successful candidate will work primarily on Dynamics 365 implementations. implemented successfully according to the project plan.